Tim Pawlenty campaigns for President in Iowa: August 2011. Political imagery is important in a campaign. Whether it is overt or subtle, political campaigns understand that campaigns are emotional ventures and that voters respond to images even more so than the substance of a campaign. Above are two photos from recent political campaigns. The first is a photo of former Minnesota Governor, Tim Pawlenty, at an Iowa campaign event in 2011. Pawlenty, a Republican, campaigned for President in 2011, but dropped from the race after a poor showing at the Iowa Straw Poll in August of that year. The second photo is not of a candidate, but of a candidate’s husband. 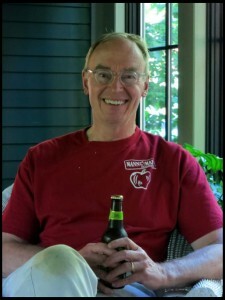 Bruce Mann is the spouse of US Senate candidate, Elizabeth Warren. Warren, a Massachusetts Democrat, has had difficulty in connecting with voters during her campaign. In both photos, there are messages sent out to capture a voter’s attention. What images do you see? At the Republican National Convention, it was Clint Eastwood who made a splash with his speech regarding President Obama. At the Democratic National Convention, Kal Penn of Harold and Kumar fame, made a veiled reference to Eastwood’s speech and made overtures toward younger Americans to vote. In 1964, actor Raymond Massey made a campaign commercial for Republican Barry Goldwater. Actor E.G. Marshall filmed a spot for Hubert Humphrey in 1968. Paul Newman campaigned for another Democrat in 1968, Eugene McCarthy. Sammy Davis Jr. endorsed President Nixon. Singer Pearl Bailey in 1976 for President Ford. Even Tim Robbins and Susan Sarandon endorsed Ralph Nader in 2000. The list of celebrities endorsing and campaigning for Presidents and presidential candidates is almost endless. I once watched a PBS documentary entitled, “Vote For Me”, where the then head of the Oklahoma Democratic Party referred to politics as “show business for ugly people.” He was alluding to the entertainment value of political campaigns and how the political process had become superficial over the years. This documentary was filmed in the mid-1990s. Today, it seems as if politics and entertainment industry have come together as one. Entertainers of all political stripes are now engaged in the political process by adding their opinions to the issues, events, and candidates of the day through social media and traditional media outlets alike. Has the separation between politics and entertainment become blurred over the years? Do you believe that entertainers have any influence on the political process?